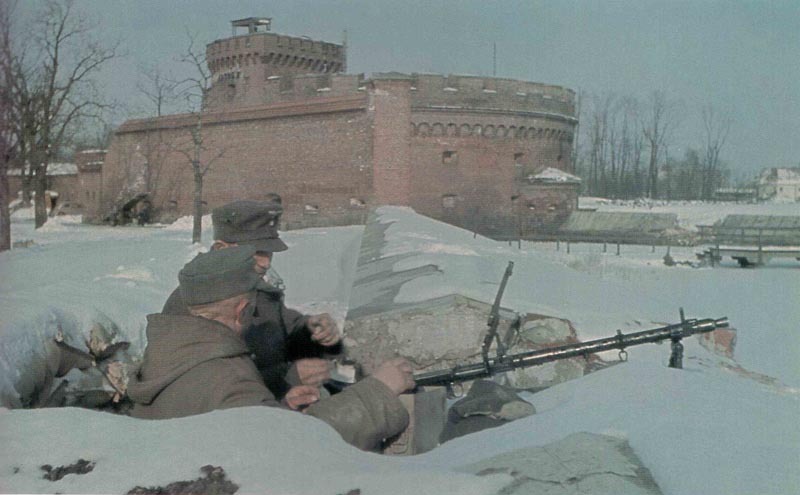 An MG34 has been placed into a defense position at Königsberg. East Prussia: Königsberg now virtually encircled by 2nd and 3rd Byelorussian Fronts. BRITISH AND CANADIANS REACH THE RHINE in strength. US 3rd Army crosses river Prum. Europe: Halifax bombers attacking Wanne-Eickel oil plant (Ruhr); B-17 Fortress attack Lützkendorf plant. Ecuador and Paraguay declare war on Germany and Japan.